The reunion price includes entry to any of the venues we visit that require an entry fee. Saturday evening is when we hold our Gala Dinner. The night commences with a glass of wine before dinner, and once everyone is seated a candle is lit on the single table setting for our Absent Friends. At the end of the meal, and after our toast to Absent Friends, the candle is extinguished. 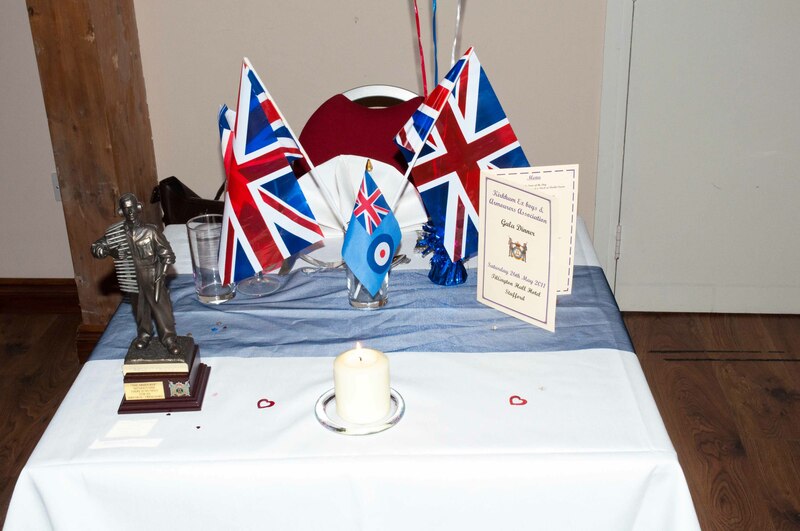 During the evening of dancing, a raffle is held with around 70 prizes donated. This is done and dusted within 15 – 20 minutes, and then back on with the dancing. Sometimes we’re lucky to get to bed before 01:00 Sunday morning! Sunday, after breakfast, we have the AGM from 10:00 until 11:00, followed by a trip out. (In 2015 we dedicated a Plaque at the National Memorial Arboretum, in memory of all RAF Armourers gone to meet St Barbara whilst serving in the Royal Air Force). This year we are visiting the SS Great Britain, and afterwards, for those of an energetic nature, climbing the rigging is available (including all necessary safety harness and equipment). Sunday evening after the meal will be dependant on how much energy those of us staying will have left after the Saturday evening dance. At one reunion in Stafford, another youngish guest was overheard to say that it wasn’t right that us lot of oldies were still on the dance floor at 23:30 and Not In Bed!!!!!!! (Nuff said). We do enjoy our weekend get together so please consider joining us.